Domo Tactical Communications (DTC), a developer of wireless communication technologies, has announced that the company has been awarded an initial contract for the delivery of wireless IP mesh radios to support a commercial European customer with their Connected & Autonomous Vehicle (CAV) programmes. This builds upon DTC’s previous sales of wireless mesh radios for Unmanned Ground Vehicles (UGVs), remote sensing and scene assessment vehicles, remote vehicle track testing and commercial remote autonomous/unmanned truck testing. 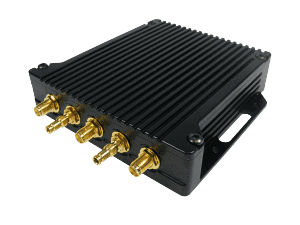 Autonomous vehicle technology is developing rapidly and DTC is a proven provider of secure high data rate wireless NETNode mesh radios, with enhanced into non-line-of-sight (NLOS) capability, ideal for urban and city environments where CAV manufacturers and operators need resilient data and communication links to ensure that these new modes of transport can operate effectively and safely.